Volcano: Mount Etna's spectacular eruptions created unique landscapes over the centuries. 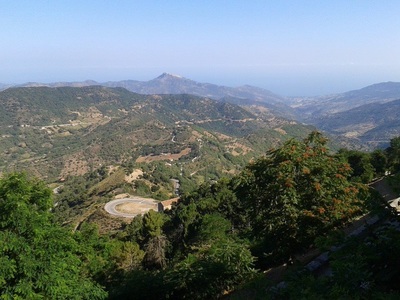 Etna, located in the East is a popular tourist spot. It is 3000 mt above sea level and is one of the world's most active volcanoes. Breath-taking landscapes of the Madonie, Nebrodi parks, and volcanic paradise of Pantelleria, are sprinkled with enchanting oases like that of Pertusa di Notaro a grotto noted for the extremely fresh air that passes through. Grotta del Gelo (Ice Cave) perpetual glacier and the Gole dell’Alcantara are a thick network of rocky channels of cold water gorges from Etna. La Scale dei Turchi near Agrigento (where you can find the Greek Valley of the Temples ) is a unique place to admire the sun light along the coast. The Aeolian Islands are from Lipari, Vulcano, Stromboli, Salina, Filicudi, Alicudi to Panarea. The history of the Aeolian Islands are clearly bound to the Volcanoes, and the artists of these splendid natural masterpieces around the blue of the sea. Sicily is rich in UNESCO World Heritage Sites: from the Valley of the Temples, Syracuse, Necropolis of Pantalica, the Late Baroque cities Noto and Piazza Armerina. Local Coasts from Pollina, Mondello, Cefalù, San Vito lo Capo, Marina di Ragusa, Taormina, and the Aeolian Islands. Golf in Sicily – has even become an important destination for lovers of golf with the renowned “Donnafugato resort” . Several new courses have made their home on the island, which is host to the by-now famous Sicily Open. Sicily offers a wide range of treatments for those who wish to unwind from stress and daily life by wellness centres. 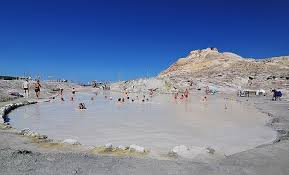 The most renowned spas are Sciacca, with its famous Stufe di San Calogero, caves where the high concentration of steam reaches a temperature of about 40° C, or the Thermae of Acireale, where underground seawater mixes with sulphur water from Etna. Cultural elements with our famous writers such as Salvatore Quasimodo, Giovanni Verga, Luigi Pirandello, Leonardo Sciascia, and Tomasi di Lampedusa found their inspiration to write great works including The Leopard and The House by the Medlar Tree. 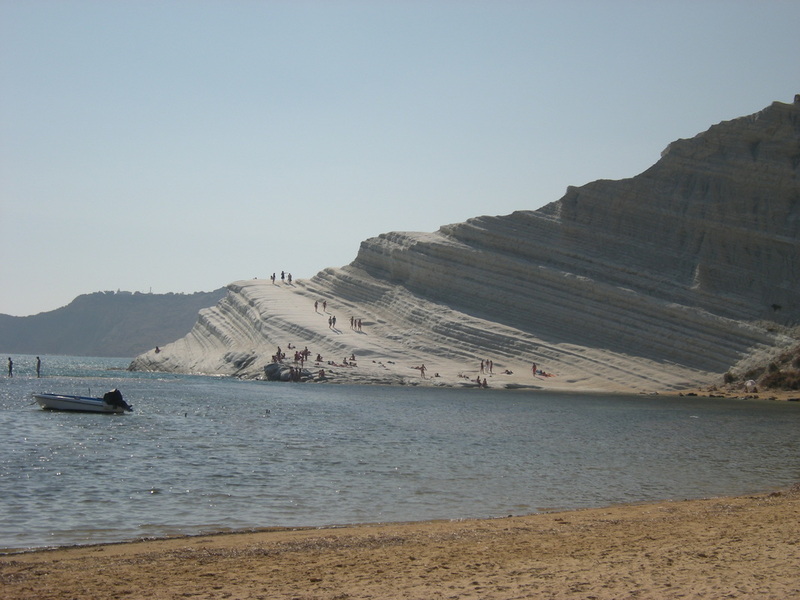 See the Greek Temples of Selinunte and Siracusa, Agrigento and Imera. Not to be forgotten is the Greco-Roman theatre of Taormina and the cathedrals left by the Normans, especially the Duomo of Cefalu, Monreale, San Giovanni degli Eremiti and San Cataldo Churches. Or from the Opera of Marionettes and the story of Orlando Furioso to the many festivals dedicated to local Patron Saints of Sicily, mixing faith, folklore and tradition into a display of the Sicilians’profound religious devotion. The Festival of San Mauro Castelverde or Pollina with San Giuliano are just a few minor ones along Cefalu’s coast for you to experience. Sicily has beautiful black-sand beaches, a volcano to ski on and desserts to satisfy the sweetest tooth. Plus 8,000 mummified citizens in the catacombs of Palermo, to keep you awake at night. Oh, and the Mafia? There are hundreds of places to eat, shop and sleep run by Sicilians who have said no to organized crime. 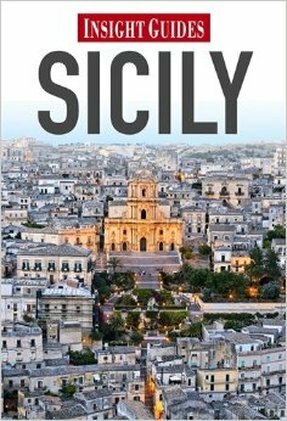 Sicily isn't all that Italian Much of Italy retains a strong regional identity. Calabrians, Apulians and Tuscans often feel at least as strong an affiliation with their home regions as they do with the Italian state, formed only around 150 years ago. However, Sicily's island status makes this ambivalence even stronger. That sense of separateness explains a lot, from the persistence of the island's notorious criminal underworld to the strength of the Sicilian dialect - which some linguists have argued constitutes a separate language. Sicilians also often have a darker complexion, with stronger facial features, than many mainland Italians, reflecting the presence of Phoenician and Arab ancestry among the island's population. If you meet the Mafia, you won't know it. The Mafia: Popular culture may as well have made it Italy's brand. Unhelpfully, members of Cosa Nostra -- as the Sicilian criminal syndicate is also known -- these days don't often dress the way they do in the movies so, although you may come across them on the island, you probably won't know it. To compound matters, the coppola, the jaunty cap Mafiosi often used to wear, has been adopted as a symbol of resistance by the anti-Mafia movement - worn at a different angle. But just because the mobsters are relatively inconspicuous doesn't mean they're at home knitting. The Mafia continues to exercise a baleful influence on Sicily and beyond, from its periodic killings, to the protection money -- pizzo -- many hotels, restaurants and shops are forced to pay, and the corrupt investment climate that helps to keep businesses away and keep Sicily relatively poor among the Italian regions. Tourists will hardly ever be touched directly by mob violence, which tends to go on in the poorer parts of town that are the Mafia's strongholds. But you can help those who have suffered by getting hold of a "pizzo-free" city map of Palermo and eating, shopping and sleeping in establishments that have signed on to an anti-extortion charter. The bikini is very old news here Concrete, aqueducts, particularly violent spectator sports -- we attribute a lot of things to the Romans, yet not often a skimpy item of women's sportswear. However, the evidence is there in Sicily, in the form of beautifully preserved mosaics, that female Roman gymnasts were prancing around in garments very similar to the modern bikini as early as the fourth century. Sicily rivals Greece for ancient Greek architecture In classical times, Sicily was the star of Magna Graecia, Greater Greece. The Valley of the Temples, in the southern city of Agrigento, is where the ancient world comes most vividly alive on the island. The city, ancient Akragas, rivaled Athens in its splendor but may also have been a kind of Los Angeles of the ancient world. Pindar, the ancient poet, declared - sniffily or with longing, it's hard to say -- that the hedonistic inhabitants of a city "built for eternity ... feasted as if there were no tomorrow." Now the remains of the Doric temples within the Valley, another world heritage site, are among the largest and best preserved of all ancient Greek buildings. The Temple of Concordia, in particular, looks as though it needs only a slap of paint and a statue or two for toga-clad types to fit right back in. Desserts will satisfy the sweetest tooth. Blame the early Arab settlers, who spiced up Sicilian cuisine with citrus fruits and cloying sweets. Their legacy is cassata, a cake filled with ricotta cream and decorated with almond paste and candied fruit. Also blame Sicilian nuns, closeted away in convents with little to do but pray and bake cakes Novice nuns made marzipan concoctions, transmuted today into rather more sacrilegious-sounding nibbles such as "virgins' breasts" and "chancellors' buttocks." They look vividly as described and can be embarrassing to eat. Marzipan is also sculpted into the shape of peaches, oranges and prickly pears throughout the island. In the town of Modica, sweet pastries combine chocolate and meat in a surprisingly tasty combination. Manners remain very formal. The Sicilians don't conform to carefree southern Italian stereotypes -- life has long been too bitter-sweet. Don't expect the locals to break into song while a stereotypical cuddly mama serves your pasta. At first, Sicilians can seem sullen, inscrutable and fatalistic. Sicilian family life is a cocoon. Personal loyalty is sacrosanct and little exists beyond that. But persevere and you'll find that chill can melt into something as sweet -- sometimes as cloyingly sweet -- as cassata. You can ski on a volcano. The snow capping one of the most active volcanoes in Europe, constantly smoking and spitting lava, seems unlikely enough. Rifugio Sapienza and Piano Provenzano, on Mount Etna's flanks. You can ski down the north face of the volcano and jump over lava bumps. Mummies are a weird attraction The dead are very much still family in Sicily, and mummification rites practiced on the island until 1881 sought to keep them looking more or less alive for as long as possible. Using arsenic baths and quicklime, Capuchin friars preserved the corpses of aristocrats, the clergy, doctors, lawyers, women and children and laid them to rest in Palermo's Catacombe dei Cappuccini (Piazza Cappuccini; +39 091 652 4156; admission $4). 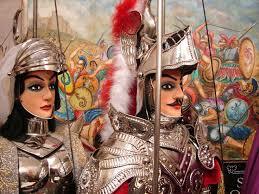 Around 8,000 embalmed Sicilians, rictus grins aplenty, are now on display to the public in the underground vaults. Among the spookiest is "Rosalia," a toddler with a face that looks scarily perfect, 90-odd years postmortem. The beaches are black and white some of the most dramatic beaches are on the tiny Aeolian Islands, to the north of Sicily. There you'll find midnight-black beaches -- a legacy of volcanic activity -- and sand dunes split with rust-red seams of iron. 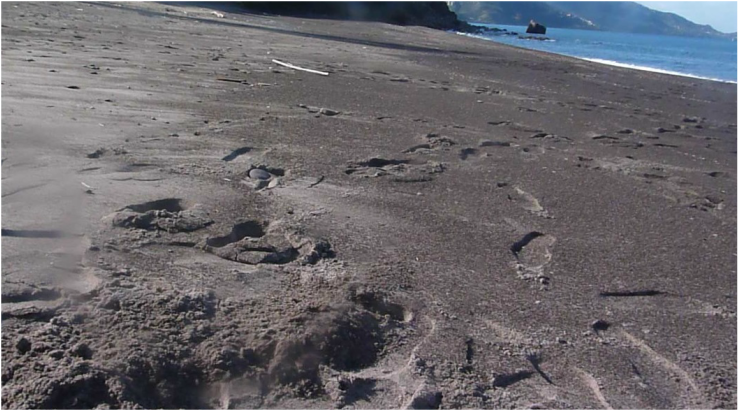 Or, as on Lipari, the largest of the islands, beaches of silvery-grey pumice stone. On the mainland, the cleanest white sand beaches are to be found around the city of Ragusa, to the south. The wine's no longer all swill. Julius Caesar praised Sicilian wine, but to the rest of us it's long been thought of as swill. Despite a pedigree dating back even to Phoenician and Greek times, Sicilian wines have underperformed. However, a recent revival has seen a glut of boutique wineries producing a far superior drop. Superb floral whites are produced around the city of Alcamo, in the north. In the west, elegant Marsala is a fortified wine that rivals top sherries and ports. The new-wave wine-growers on Mount Etna make award-winning Bordeaux-style reds Wine resorts are also all the rage. Near Alcamo, you can stay on the Marquess de Gregorio's estate and taste organic wines while you learn to cook Sicilian dishes.